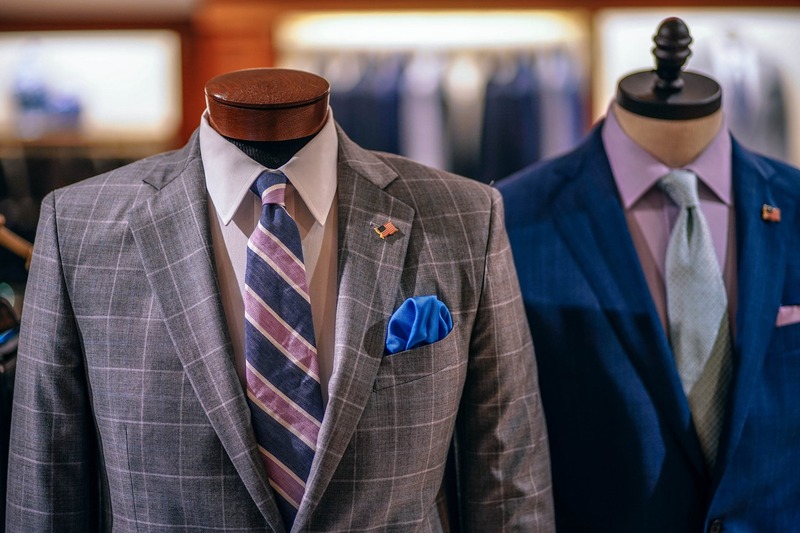 Creating an attractive formal outfit requires more than just wearing a dress shirt with a suit jacket and matching trousers; you need to wear the right accessories. Unfortunately, many men overlook this step when getting dressed for a formal event or occasion, resulting in a lackluster style. While wearing a suit is important, it’s equally important that you wear the right accessories. To make this process a little easier, we’ve created a beginner’s guide to accessorizing a suit. In this guide, you’ll learn which accessories to wear and how to wear to wear them. If there’s one accessory you don’t want to omit from your suit, it’s a necktie. Worn around the collar of your dress shirt and draped in front of your chest, a necktie helps to break up the colors and patterns of your shirt to create a more dynamic appearance. When choosing a necktie, consider the color of the dress shirt with which you intend to wear it. A good rule of thumb is to wear a necktie in a color that contrasts with the color of your dress shirt. If you’re wearing a white dress shirt, you shouldn’t wear a white necktie. Instead, wear a necktie in a color that contrasts with white, such as black. Following this rule help you create a more cohesive, formal outfit that reflects positively upon your sense of fashion. Also known as a tie clip, a tie bar is an accessory that’s worn in conjunction with a necktie. It’s essentially a metallic clip that’s used to secure a necktie to the underlying dress shirt. Upon reading this, you might be wondering why you need to secure your necktie to your dress shirt. Well, the reason tie bars are such a popular suit accessory among men is because they keep your necktie from flapping around. Without a necktie, your necktie will flap around when you bend over. Not only is this unattractive, but it can also block your vision. If you work in a laborious job that requires you to bend over frequently, wearing a tie bar will hold your necktie in place to prevent this from happening. Cufflinks aren’t always necessary when wearing a suit. In fact, you shouldn’t wear them if your dress shirt already features sewn-in buttons. But if your dress shirt doesn’t have buttons, you’ll need to wear cufflinks. This common suit accessory works to secure the cuffs of your dress shirts by holding them together. If your dress shirt doesn’t have buttons, it should have two openings through which you can place a cufflink. There are hundreds if not thousands of different types of cufflinks available. Some of the most common materials in which they are made include glass, leather, steel, copper, silver, aluminum and pearl. Cufflinks are also available in a variety of graphics and decorations. Most cufflinks feature some type of decorative element on the front, which may include polka dots, plaid, stripes or other designs. You can accessorize your suit with a pair of stylish sunglasses as well. Sunglasses go beyond aesthetics, however, to provide protection against harmful ultraviolet sunlight. Statistics show that 5% to 10% of all cancers occur on the eyelid. Any whenever you are outside for long periods of time, your eyelids will be exposed to potentially cancer-causing ultraviolet sunlight. A simple way to protect yourself is to wear sunglasses. Assuming the sunglasses are designed with ultraviolet-blocking lenses — which most high-quality sunglasses are — they’ll prevent ultraviolet sunlight from reaching your eyelids and eyelids. You obviously don’t need to wear sunglasses when indoors. 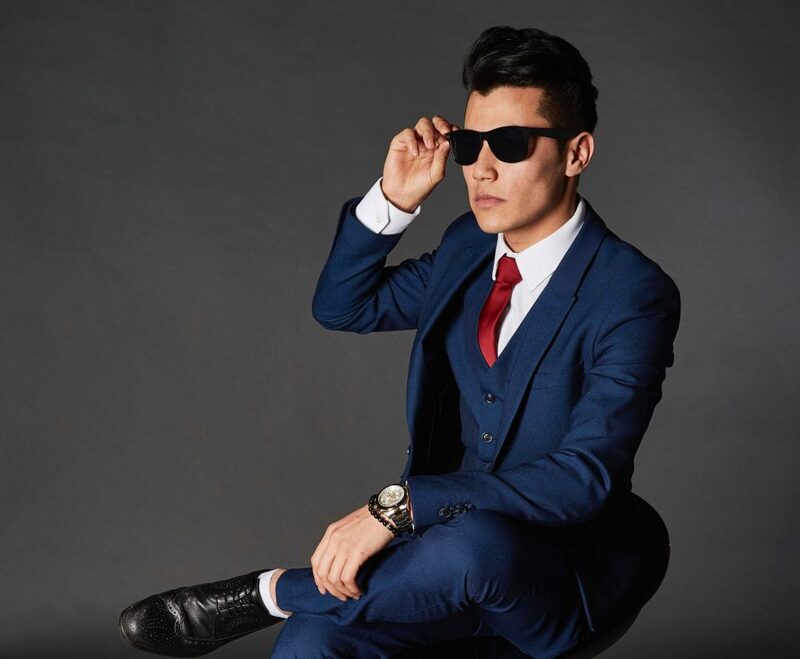 But if you’re planning to stay outdoors for multiple consecutive hours, consider accessorizing your suit with a pair of high-quality designer sunglasses. Given the fact that 95% of Americans now own a smartphone, you may assume that wearing a wristwatch is no longer required. After all, you can just check the time on your smartphone, right? Well, you can always use your smartphone to keep track of the time, but a mobile device won’t offer any aesthetic value to your suit. To create a more fashionable outfit, wear a wristwatch with your suit. You can choose from either a metal-band wristwatch or a leather-band wristwatch. Both offer a formal appearance that will compliment your suit to create a more stylish formal outfit. A pocket square isn’t an essential accessory, and it’s perfectly fine to wear a suit without one. However, wearing a pocket square can add new color and patterns to your outfit, allowing you to customize your appearance in greater detail. Consisting of a square-shaped piece of colored fabric, it’s placed inside the breast pocket of your dress shirt — typically on the left side. You can’t wear just any ordinary pair of socks with a suit. No matter how hard you try to prevent it, some people will likely see your socks. When you sit, for example, the bottom of your trousers will pull up just slightly to reveal the top of your socks. And if you wear athletic or other casual socks, it won’t look right. Therefore, you should wear thin, high-quality dress socks with your suit. Available at most department stores, dress socks are designed with an emphasis on aesthetics. A necktie might be the most important accessory to wear with a suit, but a belt isn’t far behind. While most accessories simply add color to your outfit, a belt provides utility as well. It secures your suit trousers around your waist so that they don’t fall down. Of course, you can avoid this problem by choosing suit trousers that fit your body. If your trousers fit, they should rest securely around your waist without falling down. Because we offer custom sizing at no additional charge, you can get the perfect pair of fitted trousers here at StudioSuits. Wearing a belt will still help to improve your appearance, but you won’t have to worry about your trousers falling down if you choose a pair in the right size. Why Do My Dress Shirts Keep Shrinking?